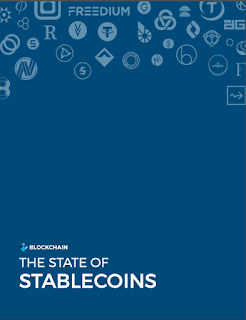 Update: the 2019 State of Stablecoins report, which at 140-pages significantly expands on the earlier report described below, has now been released. Full details on what's new with stablecoins in 2019 and a link to the free to download report and slides here. 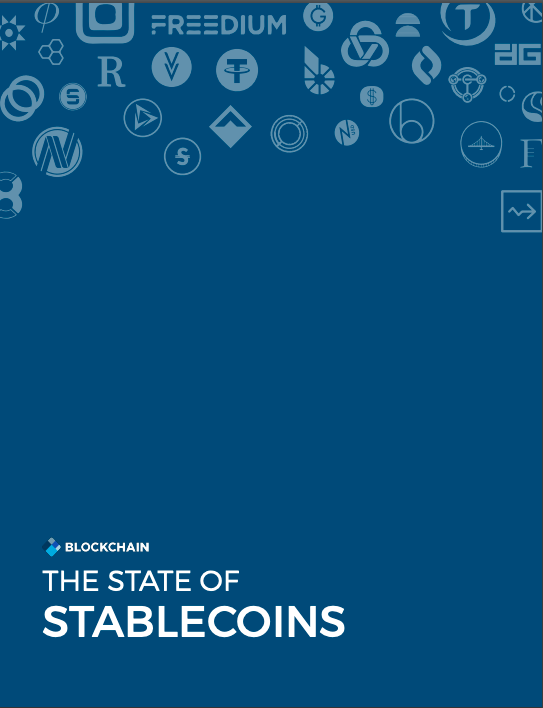 We are very pleased to release the 2018 State of Stablecoins research report, the first comprehensive study of the rapidly growing world of stablecoins. The full report PDF and presentation slides can be downloaded here. Fewer than two-thirds of all stablecoin projects (60%) are building just on Ethereum (ETH), perhaps lending support to growing concerns over Ethereum’s ability to scale its transaction capacity. After months of hard work Mosaic is out of stealth mode and we are happy to share our solution to the #1 problem plaguing cryptoassets. Overall, while investors are flocking to digital assets, this new asset class currently lacks reliable research and data, featuring both accountability and transparency. But the problems facing cryptoassets aren't limited to the lack of reliable research and data. We also see a significant opportunity to improve the cryptoasset user experience. In other words, to be useful reliable research and data must also be presented in a clear and easy to comprehend format, and also easy to access via an intuitive user interface. For more information on how we are addressing these problems, and to learn more about our protocol and network, please visit Mosaic. 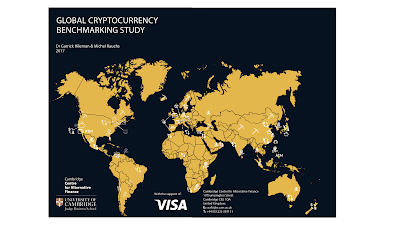 We are very pleased to release the 2017 Global Blockchain Benchmarking Study, which is a follow-up to our Global Cryptocurrency Study. 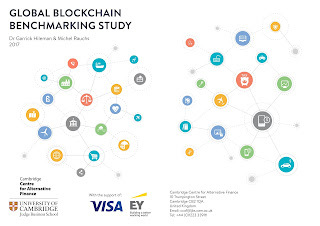 The full blockchain report PDF can be downloaded here. Presentation slides with approximately 100 figures and tables from the study can be viewed and downloaded here. The 122-page report presents a systematic and comprehensive picture of a rapidly evolving industry, examining how blockchain and distributed ledger technology (DLT) are being used in the public sector and enterprise. The study analysed non-publicly available data gathered from over 200 central banks, other public sector institutions, DLT start-ups, and well established companies. The study explores targeted use cases, emerging revenue models, timing of deployment, and key challenges. The subject of bitcoin adoption by the world's 'unbanked' has been of interest for some time now to cryptocurrency entrepreneurs thinking about which markets to focus on, policymakers looking to boost financial inclusion, and others. It has been suggested that those lacking access to a bank account, and the financial system more generally, could drive proportionately greater cryptocurrency adoption over people in advanced economies who already have access to financial services. A paper analyzing empirical crowdfunding data found that being unbanked* was negatively correlated with crowdfunding adoption. In other words, markets with more developed financial participation (generally, advanced economies) are where the greatest amount of crowdfunding activity is taking place. Now, what does data from crowdfunding adoption have to do with cryptocurrency adoption? For one, both are forms of alternative finance, which can be defined as any new financial instrument, channel or system that emerges outside of traditional financial services (e.g., banks, capital markets, etc). What happens in one area of alternative finance may be relevant to other areas, although this relationship needs further exploration. A second reason why this result may matter for cryptocurrency adoption is that this finding lends support to the fact that already possessing a bank account can reduce on-boarding frictions associated with participating in alternative finance. For example, one of the easiest ways to acquire bitcoin is through a cryptocurrency exchange, and transferring funds into a cryptocurrency exchange can be difficult if not impossible without a bank account. And, of course, there is the fact that someone who already has resources and savings in an existing bank account will probably also have greater financial wherewithal to participate in crowdfunding or adopt cryptocurrency. Having said all that, one thing that the paper does not address, and which an earlier paper of mine focused on, is the quality of the financial services available in different countries. My paper (downloadable here) suggested that those lacking access to quality financial services, as indicated by data on banking and currency crises, sound monetary policy, cost of cross-border transactions, financial repression, and so on, may be relatively more likely to adopt cryptocurrencies such as bitcoin. 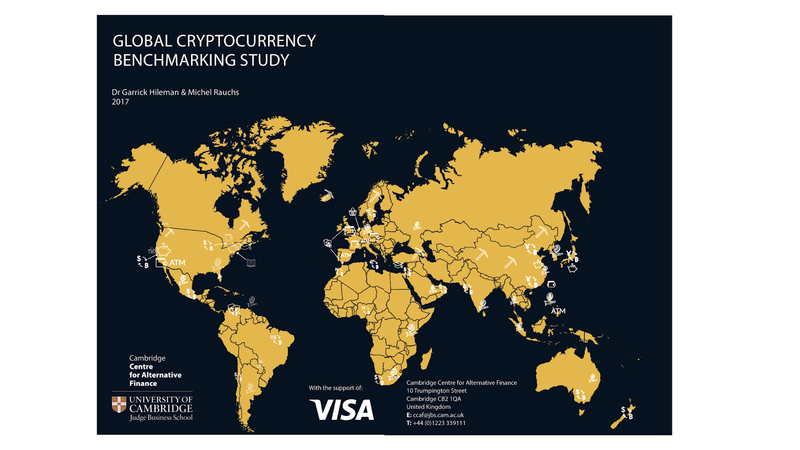 As the regions with relatively low-quality financial services - Sub-Saharan Africa, Latin America, and the former-Soviet countries - are also the same regions with the largest unbanked populations, the question of how likely underbanked regions are to adopt cryptocurrency remains an open question and warrants further study. But certainly one possibility is that it is the already banked - and not the unbanked - within countries with low quality financial services that will be the most likely to adopt cryptocurrencies. 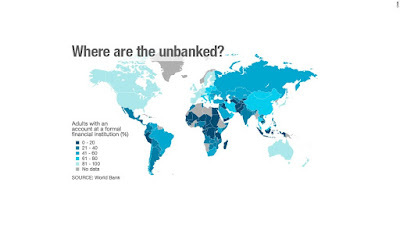 *Note: the term 'unbanked' is represented here by a World Bank measure of the percentage of people in a country that hold an "account at a formal financial institution" such as a "bank, credit union, another financial institution (e.g., cooperative, microfinance institution), or the post office (if applicable) including respondents who reported having a debit card". Note: a PDF version of these slides, which includes high-resolution images of the figures and tables, can be downloaded here (annoyingly, SlideShare downscales the resolution of uploads). And the full 114-page written report can be downloaded here. 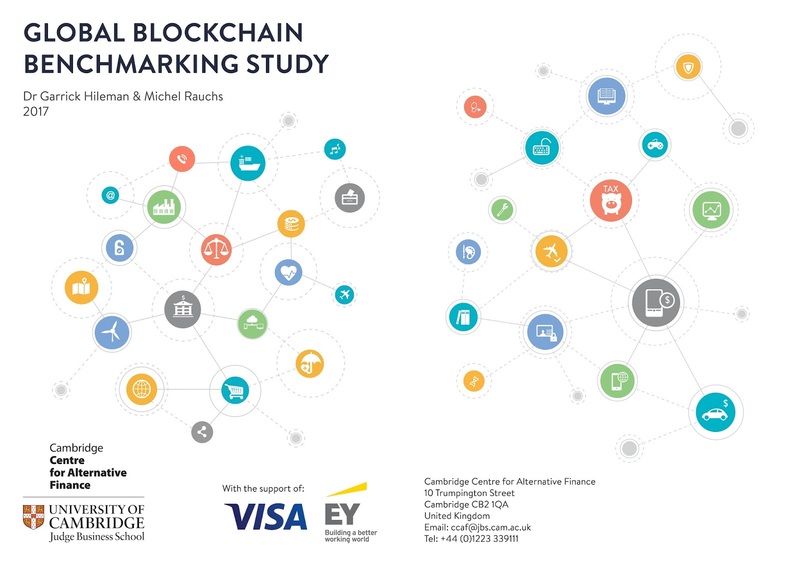 Why participate in Cambridge's cryptocurrency and blockchain benchmarking study? Below is an edited transcript of remarks I delivered at the Bitcoin and Blockchain Leadership Forum meeting on 9 December, 2016. Collecting data helps us to develop and inform research questions, such as what is the relationship between blockchain activity and economic growth? This question is not only interesting from an academic perspective, it may have significant policy implications. Many policymakers are thinking about how to balance a desire for increasing economic growth with regulating the blockchain industry, and our research has shaped the policy discussion around this topic. However, we are not able to address such research questions unless we have strong participation from you in our research surveys. It’s important to make clear that the data published in our studies is aggregate data, not individual organization data. For example, we show country level data, or sector level data (e.g., data for all wallets, or all exchanges) but never _____ organization’s individual data. We take data privacy and confidentiality very seriously and work hard to ensure that our research does not threaten trade secrets or security in any way. We are currently running our first global blockchain and cryptocurrency benchmarking study. On the blockchain side we’re looking at permissioned distributed ledgers and non-monetary use cases, such as provenance, as well as public sector blockchains (e.g., central bank digital currency) and what’s happening with distributed ledger technology in U.S. states like Delaware. For cryptocurrencies we’re examining exchanges (specifically security), payments, wallets, and mining. There are many good reasons for organizations to support this research by completing our surveys. Firms can benefit from the wide exposure these reports receive as we offer all participants the opportunity to have their logo included in the report. This study will also help with the formation of key performance indicators. But perhaps the biggest reason for cryptocurrency and blockchain firms to participate in our benchmarking study is that this study can help the industry constructively engage regulators and policymakers. Many regulators are keen to learn more about the alternative finance sector without burdening companies with invasive and time consuming data requests. Benchmarking is a time honoured way to achieve this goal, and participation in this study is a way to signal to the world that the blockchain and cryptocurrency space is maturing. Thank you for supporting this research by completing our surveys. You can find more information about the study, including a video of my study kickoff presentation at Shanghai Blockchain Week, in a prior blog post here. Please also feel free to get in touch if you have any questions. 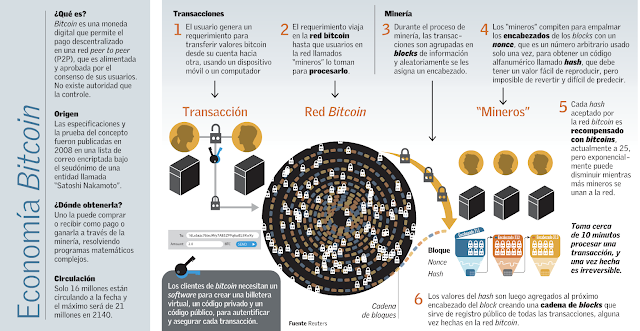 Accompanying El Pais article and transcript here.